Flexible performance space with a total capacity of up to 212 people for egress reasons (depending upon configuration). Other potential uses: conference center, educational or life science research facility, call center, shared offices. 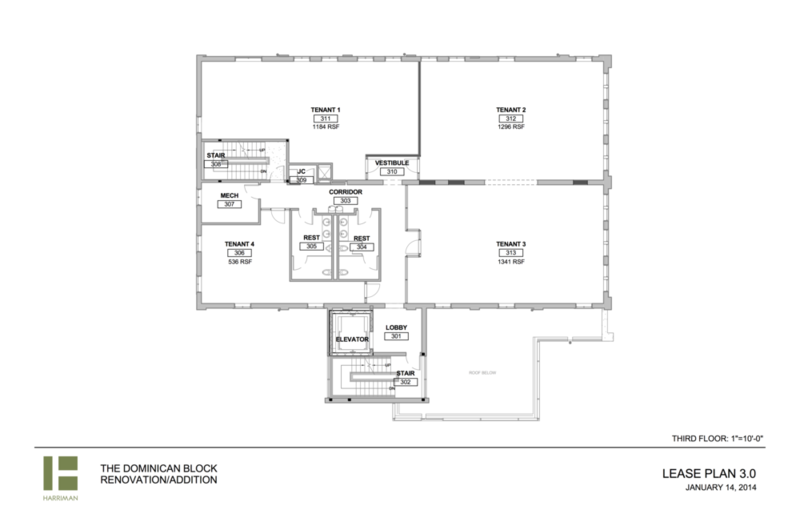 New handicapped accessible toilet rooms, janitor’s closet, electrical closet and mechanical room are provided. Retail, restaurant, and/or bar space. 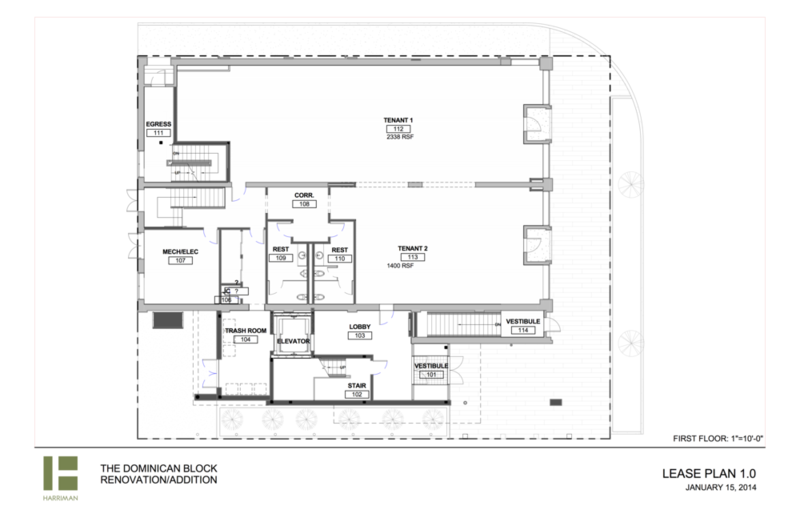 Lower Level – Restaurant/Bar, Retail, Fitness Studio, Storage.